Free up space in a stylish way with this sleek, metal set. 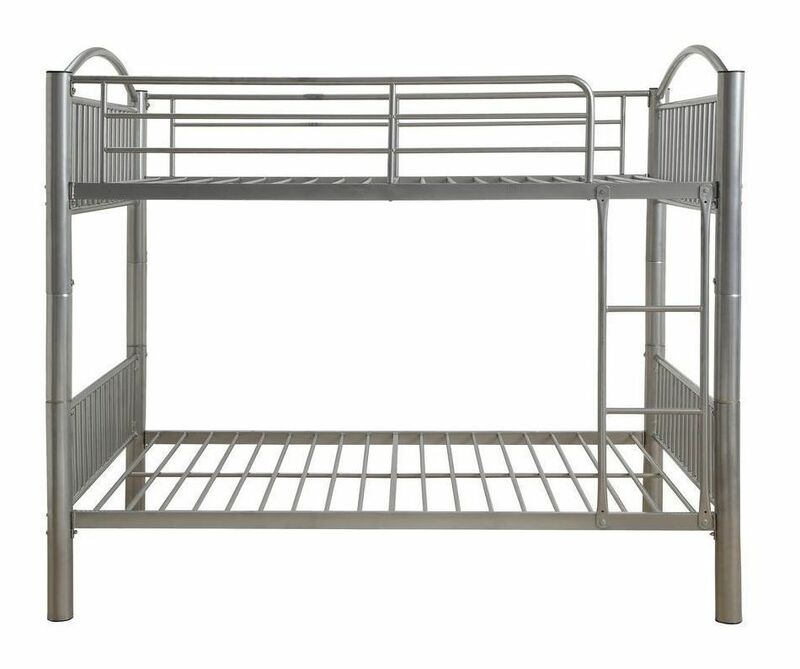 The Cayelynn Full over Full Silver Metal Bunk Bed showcases a round metal tube design, giving it a versatile aesthetic to look right at home in nearly any setting. We love how it so efficiently saves space in a room, while also being so easy to convert to two full beds, if desired. Free up space in a stylish way with this sleek, metal set.